Last week we reported the rumours concerning Google’s buyout of Lytro, the light field specialists that recently made a shift to VR. The company has now made its closing down official, releasing a statement on its blog that explains the company will no longer be operating. “It has been an honor and a pleasure to contribute to the cinema and Virtual Reality communities, but starting today we will not be taking on new productions or providing professional services as we prepare to wind down the company,” it says, in the one-paragraph post. While the statement makes no mention of a sale, the rumour mill is running overtime, with The Verge reporting that many of Lytro’s employees are heading straight over to Google. 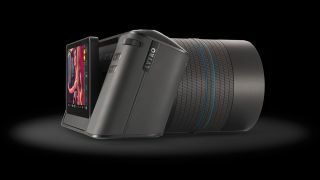 It seems, however, that Google has no plans to make light field cameras of its own, and current Lytro employees won't continue any of Lytro’s projects. The firm, it seems, is more interested in Lytro’s assets than its work. While rumours mentioned Google’s buyout price had gone as high as $40m, there has been no official confirmation of figures from either company. While light field technology was an exciting development that drew much press coverage and social media buzz, it was always a struggle to make it financially viable, with the sheer cost of the cameras proving prohibitive for many users. Lytro made a number of pivots in recent years, making inroads into 360-degree 3D photography and VR, but ultimately struggled to bounce back from a number of underperforming product launches. The Lytro Immerge, while technologically advanced, carried a price tag in the hundreds of thousands. You can read the full statement from Lytro here. It’ll be interesting to see how many people will miss light field photography once it’s truly gone.